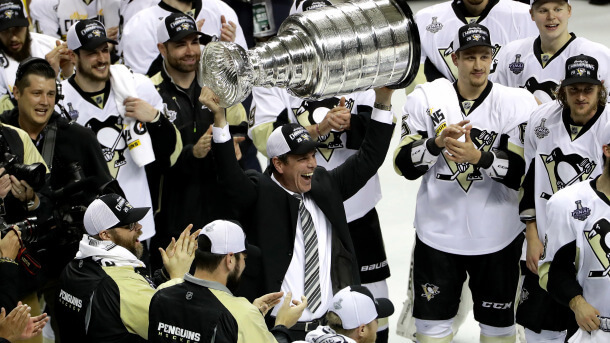 The 2016 Stanley Cup Finals was the championship series of the National Hockey League (NHL)’s 2015 – 2016 season, and the culmination of the 2016 Stanley Cup playoffs. This was the 123rd year of the Stanley Cup’s presentation. The Eastern Conference champion Pittsburgh Penguins defeated the Western Conference champion San Jose Sharks four games to two to win their fourth championship in franchise history (all of them on the road). The Penguins had home ice advantage in the series, being the club with the better regular season record. The series began on May 30, 2016 and concluded on June 12, 2016. This was the first Stanley Cup Final since 2007 to feature a team making their first appearance in the Finals in their club history.